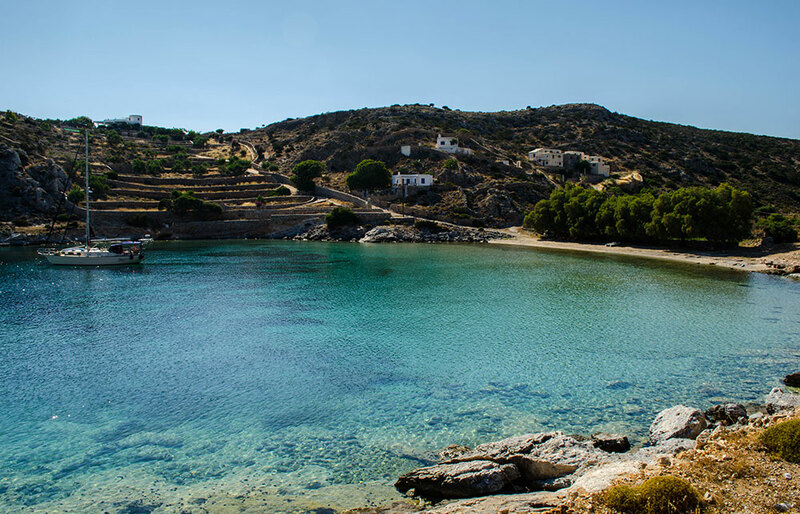 Schinousa is one of the smallest islands in the Cyclades. 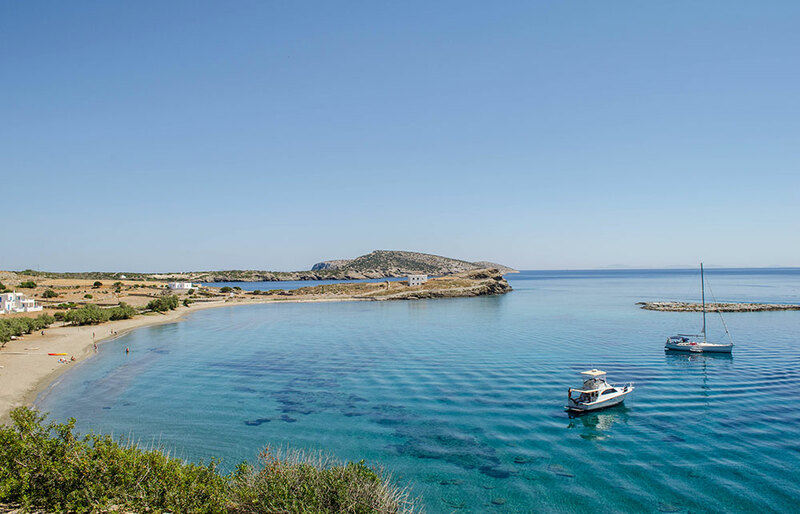 This tiny island is located south of Naxos, and belongs to the complex of Small Cyclades with many characteristic which make it an ideal “getaway” destination. 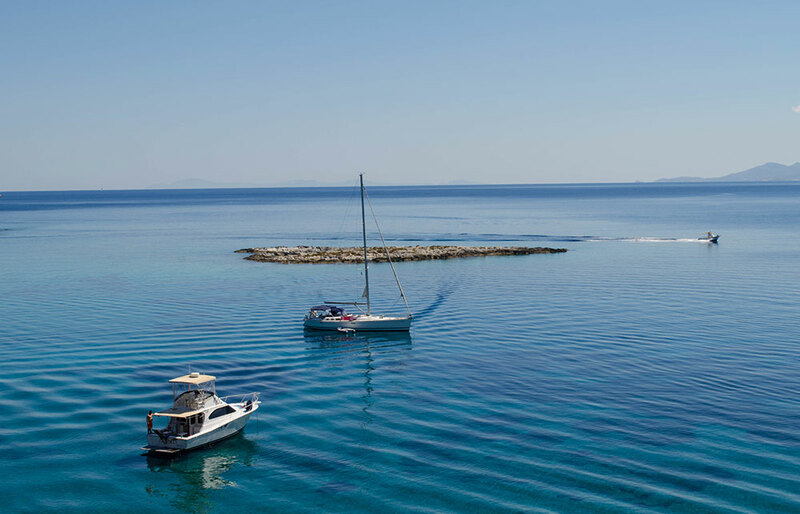 Schinousa is a popular yachting destination and one of the most relaxing spots in the Aegean, perfect for calm, off the beaten track holidays. The natural landscape, relaxed beaches, and romantic sunsets create the perfect atmosphere for those looking for total serenity and isolation. The tourist facilities are rather few, mainly cafes, restaurants and bars, but enough to cater for the needs of its selected few visitors. 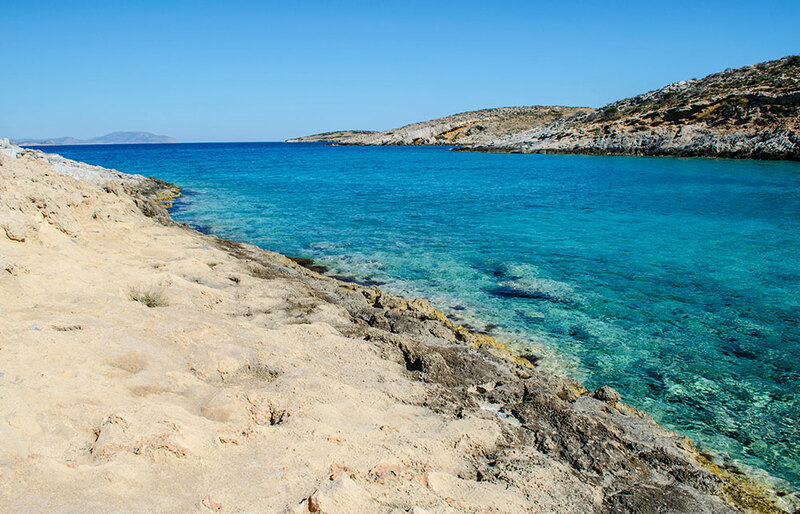 Similar to other Small Cyclades, it is ideal for nature lovers as they can enjoy the island’s unspoiled beauty and unique outdoor experiences such as hiking, rock climbing and sea kayaking. It is perfect for a short holiday or a one-day excursion from the nearby islands of Naxos, Iraklia, Koufonissia or Donousa. Maniatis Cave: is situated very close to the harbor of Mersini. 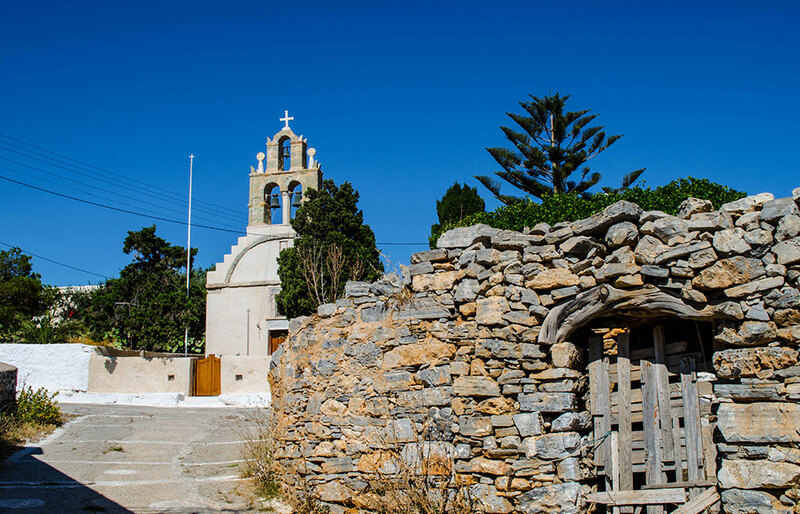 Legend has it, that a pirate from the Peloponnesian district of Mani (“Maniatis”) once tried to rob the Church of Panagia Akathi. While he was in the Church he felt like Panagia (the Virgin Mary) was constantly watching him from her holy icon. The pirate got angry, took his gun out and shot the holy icon, opening a hole through it. 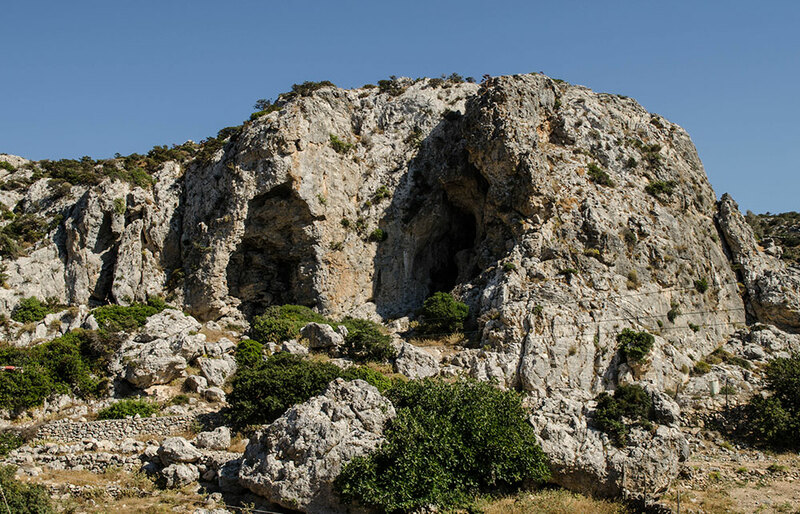 As he was running away from the Church with the swag, Maniatis slipped and fell into a cave where he got killed. The locals found him and burned his body. Today the entrance of the cave is lighten up at night. Gorge of Charaka: is an interesting climbing field formed out of limestone in the area of Chalepes. 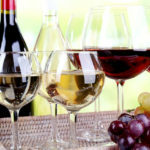 It starts from the village of Panagia and reaches the foreshore between the port and the beach of Tsigouri. There are numerous climbing routes available at various levels of length and difficulty. Kayaking in Schinousa: is one of the best ways to enjoy the island. 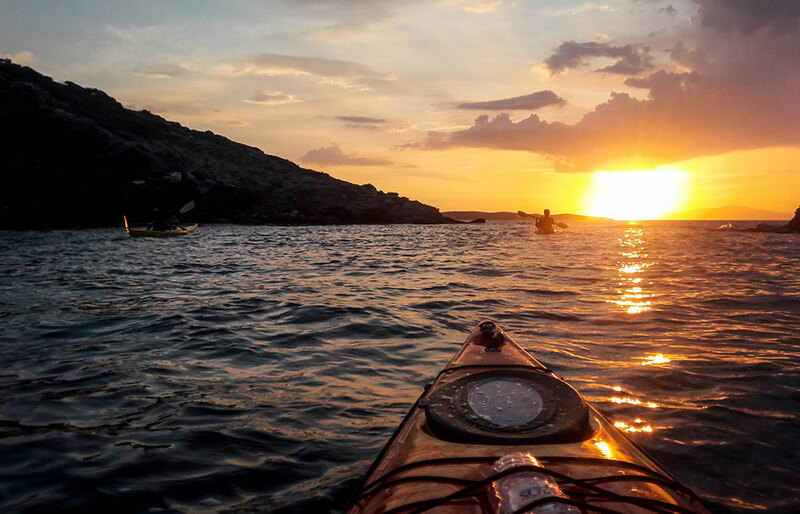 Schinousa is ideal for kayak because it is well protected by the winds, as it is surrounded by large (Naxos, Paros, Amorgos) and smaller islands (Kato Koufinisi, Iraklia, Keros). Since is so tiny, you can paddle around the island and visit all its beaches, even the privately owned ones, which are considered the most beautiful on the island and can only be approached by the sea. Padding west around sunset time is also very rewarding. The sky takes on tropical shades of red and orange, painting the sea purple and pink and offering breathtaking sunset views. A total must and one of the best experiences in Schinousa! Archeological Site: is situated close to the beach of Tsigouri. Excavations have brought into light an ancient settlement and plentiful ceramic finds from the Hellenistic and Roman period. Moreover, on site there are also ruins of an early Christian basilica. Castle: the ruins of the walls of an old Venetian castle are situated on the southwest side of in the area of Fountana. The location offers panoramic views of the Aegean. Folklore Museum: is located in Panagia village. The museum hosts a collection of traditional objects from the rural past of the island, such as kitchen utensils, wooden ovens, agricultural tools, traditional customs and old icons. Windmills: are situated in the areas of Messaria, Tsigouri and Vargies. Back in the days they used to exploit the winds of the island. 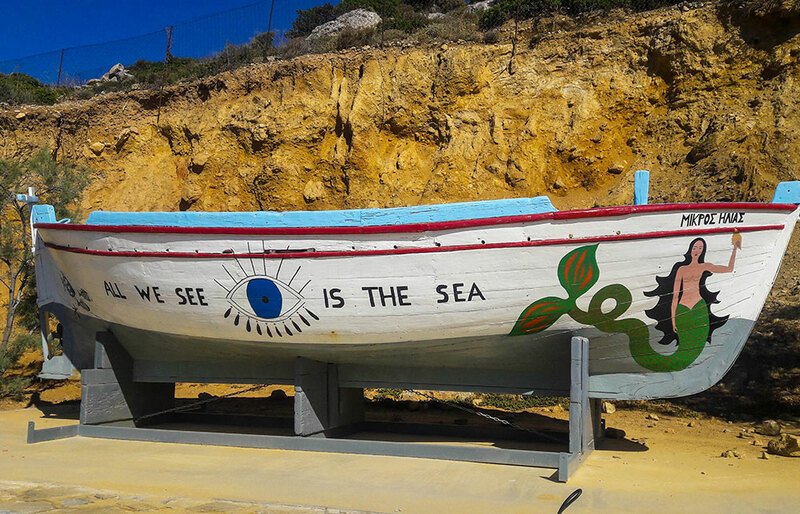 Nowadays they serve as a symbol of the island’s history. Hiking: is a beautiful experience in Schinousa. A walk around the entire island takes up to 2h30m and offers great views to unspoiled natural landscapes and sandy beaches. 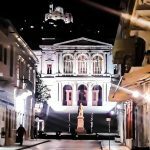 There are also various routes that start from the port, Chora and Messaria and lead to the beaches or enchanting spots with panoramic views of the Aegean Sea. Agios Nikolaos Chapel: is located at the area of Faros, close to the port, sitting right at the edge of the cliff and offering panoramic view of the Aegean and amazing sunsets. Agios Nikolaos can be reached by foot or boat. Chora or Panagia is the main settlement of Schinousa, situated uphill, approximately 1 km away from the port. It is a small, Cycladic village, with whitewashed houses and paved alleys. On its main road there are few bars, cafes, mini markets and restaurants. 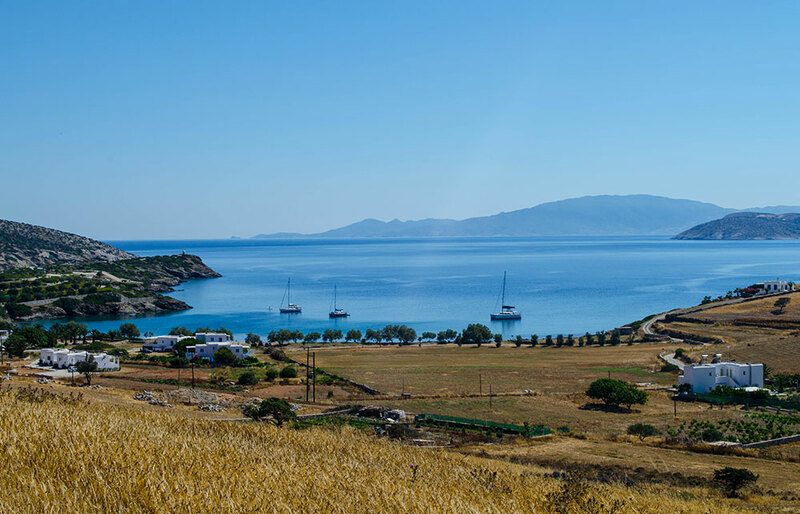 The village offers spectacular views of the Aegean blue and the surrounding areas. Chora is located right at the center of the island, and has walking trails to every beach on the island. Mersini is Schinousa’s main port and a shelter for yachts’ and fishing boats. There are a few touristic amenities available, mostly rooms to let, fish taverns and a few grocery stores. Right next to the port there is also the sandy beach of Piso Ammos, with clear green waters and a few trees for natural shade. Mersini also offers nice sunset views to its visitors. Messaria is a small village located on the north side of the island, approximately 2km from Chora. It has a few permanent residents and some accommodations available for tourists. The village is connected with a track road to Chora. Tsigouri Beach: is one of the most popular beaches in the island, about 450m from Chora. It has grey sand, crystal blue green waters, trees offering natural shade and a lovely chill out beach bar. Close to the beach there is also an accommodation available with stunning views of the surrounding islands and a fish tavern offering local dishes. Access is available by car or on foot. Psili Ammos Beach: is considered one of the island’s gems. It is a small exotic beach with white sand, turquoise waters and a little natural shade from a few trees. The beach is serene and totally unspoiled. It can be reached within a 30m walk from Chora, or by a car. Although is one of the best known beaches of the island, due to its remote location, it is rarely crowded. Almyros: is located on the east side of the island about 2km from Chora. This white sand-turquoise water beach is very popular among surfers due to its exposure on the northeastern winds. Its shallow waters make it also very welcoming to families with small kids. The beach is partially organized with few sun beds and umbrellas available. The beach can be accessed by foot or car. There is a parking space available a few hundred meters before the coast, because the road gets rather steep and difficult. 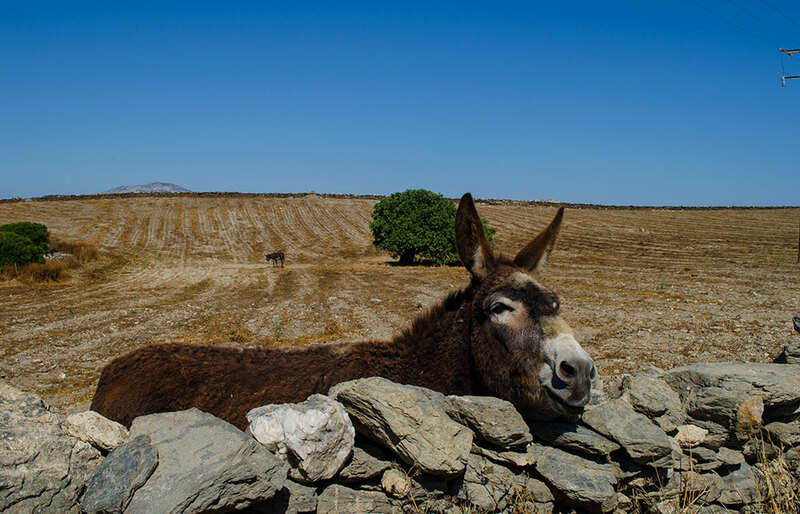 Foundana: is situated right north of Almyros, 30min walk from Chora. It is small sandy bay, especially attractive to those who seek peace and quiet. Access is also done by car. Lioliou: is located 2,7km from Chora on the northeast side of the island. It is a remote sandy and rocky beach with many tamarisks trees for shade. Accommodations and restaurants are available around the area. Access is available via a dirt road. Bazeou: is the continuation of Lioliou beach. The two beaches are separated by a rocky shore. This small quiet beach enjoys crystal turquoise waters and attracts nature lovers and couples. Its shore has both sand and pebbles. Livadi: is located on the southwest side of the island, 850m from Chora. It is a big sandy beach with calm blue green waters and a lot of tamarisks and palm trees for natural shade. Some tourist amenities are available in the area, including accommodation and restaurants. Agios Vassilios: is considered to be one of the best beaches on the island. It is a privately owned beach accessible to visitors only by the sea. Ancient Times: Findings reveal that has been inhabited since the ancient times. Excavations of large quantities of pottery, statues and tools, reveal a great activity in the island during the 10th century BC. Findings also suggest was involved in the creation of the First-Cycladic Civilization that developed in the neighboring Keros. Byzantine Times: Trade brought prosperity to the island and a lot of Byzantine churches were built. Ruins of the temples can be seen on the island. Venetian Times: From the 13th until the 16thcentury, the island flourished under the Venetian Rule, along with the rest of the Cyclades. The island was first mentioned in the old documents held in the Monastery of Panagia Hozoviotissa in Amorgos. It is believed it was named after the Venetian noble Schinoza. Ottoman Times: During the Turkish rule (16th -19th century) the island was used as a haunt of pirates. Inhabitants deserted the island to escape the pirate raids. 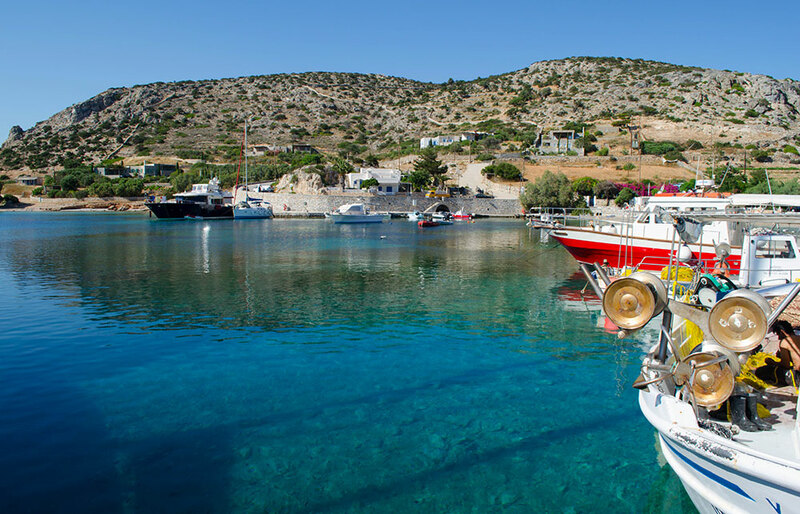 Greek State: After the Greek independence in the 1820’s, the Greek navy confronted the raids and residents from the neighboring island of Amorgos settled on the island. Although it flourished in trade, agriculture and fishing, it started to decline and poverty forced a large number of residents to emigrate. Today it has 200 residents. The Dormition of the Virgin: is celebrated annually on August 15. Agios Nikolaos: is celebrated on December 6 at Faros. Easter Day: is celebrated at the square of Chora. Locals gather and play bilious, a game thought to be an ancient precursor of bowling. Giorti tis Favas / Fava Festival (1st Friday & Saturday of July): On Friday, every restaurant in Chora serves fava in its own special way on the main street of the village. Visitors can taste the different dishes and buy fava cultivated in Schinousa. On Saturday, locals and visitors gather in Tsigouri, cook fava in big pots and celebrate with island songs, dances and raki. Gaidouriada (18th of August): donkey race that ends in a big fest with live music and dances. 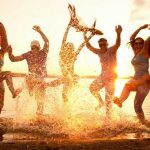 Cultural Events of the Association (12th -14th of August): Every August the Association holds cultural events on the island, including traditional folk dancing to live music and ceramic and photo exhibitions.